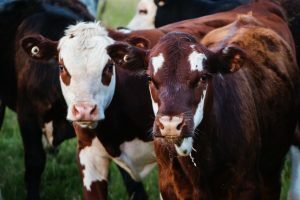 A tech company has raised £2.2m in seed funding for an app to digitise the entire livestock production process. The app, named Breedr, attempts to take the guesswork out of livestock production, from understanding which sires result in the most profitable offspring, to predicting the date of peak profit for each animal to hit the desired specification. Early results show that benchmarking in Breedr platform delivers an average benefit of £150 profit per beef finished animal, based on better sire and genetic decisions, reduced wastage in the supply chain, reduction in feed costs and 50 per cent less on transactions fees. Breedr has raised £2.2m in funding in a seed round led by London-based Local Global, which included an Innovate UK grant of £236,000 along with investment from Mons Investment and other industry angel investors, who joined early backers Forward Partners and Gumtree founder Michael Pennington. The investment includes a grant of just over £236,000 from Innovate UK, the UK’s innovation agency. Ian Wheal, co-founder and chief executive of Breedr, said: “We are bridging the gap between farmers, processors, retailers and consumers, using big data, machine learning and machine vision. The aim is to reduce uncertainty and improve productivity of the whole livestock market. The beef, sheep and pig producers we are working with have a wealth of data about their animals and see our app as a way to directly add value. Today they might choose to see which animals are closest to the specification requested by their customers, but as more information is included they will be able to benchmark against other farmers in their group.